For many years, AndroidPay was Google’s main payment app and it gained quite some popularity across the world, as the Android based mobile devices became the most popular option in its class. Still, the time for a change is here, and the people from Google decided to make a move towards unification of their assets across the platforms. 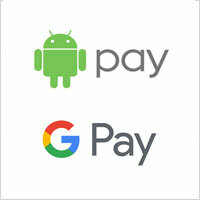 This resulted in a completely new Google Pay app that will completely replace AndroidPay. The new payment app will be automatically replacing AndroidPay, and the users will be notified about the change. The change reaches far deeper than a simple re-branding, as the new Google Pay app will bring numerous improvements. The checkout process will be simpler, and the promotions, rewards, and payment gateways will be all at the single place, along with all the passwords and accounts. It will allow for an extremely simple, easy, and seamless checkout process that the users will find very pleasant to use! The change will also include a new menu system that allows tracking purchase history, suggests deals nearby, remembers the physical stores where you used the app, and allows finding any outlet in your vicinity. Besides the new and advanced payment processing, in the following months the Google Pay app will also get a Google Send integration. The first countries to benefit from this new system are UK and US, as the users there will be able to send and receive money via the same service. With over 50% of the sales generated on eBay coming from mobile devices, it is fair to assume that making Google Pay available as an option there will be one of the priorities. Simply, it is highly unlikely that the eBay will risk parting ways with customers using this app, especially in the markets that generate huge amounts of sales on a yearly basis. So far, PayPal was the main option for eBay sellers, but the years-long partnership is coming to an end, and the deal to replace PayPal with Adyen has already been made. Still this is a move that was made mostly in order to target new geographies, and customers on a global scale. 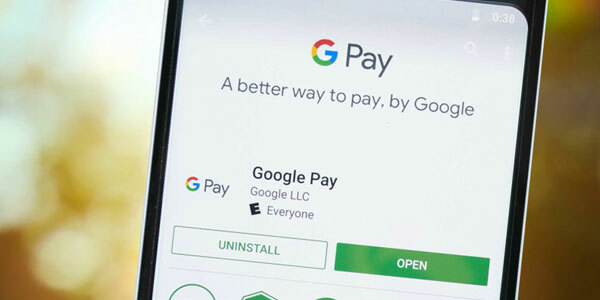 With Google Pay being a new major payment app for android users in two of the most developed countries, it is almost absolutely certain that the eBay will make haste to make it available for their sellers and shoppers alike.